The traditional guidelines for punch call for five specific parts: alcohol, sugar, lemon, water and tea. From a historical perspective, the drink starts to show up in British records around the 17th century where it is thought to come from India. Of course, punch is a great drink to serve at parties. 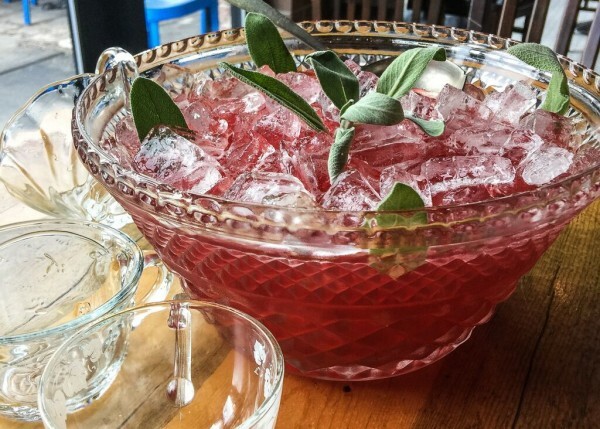 We bring you a delicious version by Patrick Williams, Beverage Director at Punch Bowl Social. This version is a delicious bourbon punch. The floral notes from the liqueur and fruit notes from the tea play well with the bourbon base. Combine all the ingredients in a large bowl filled with ice. Serve with a rosemary sprig garnish.